Free games without annoying ads on the page! A new game is added every Friday. Passion Wind offers games to host on your personal or non-profit website free of charge. These games may be freely copied, distributed, and hosted on your website so long as they are not modified from their original versions, and all links and copyright notices remain intact. Please link back to my site and spread the word. You are the lone wolf assasin. Do your thing. In Earth Taken 3 you start off as one of the many humans taken prisoner by the aliens. They will brainwash you and turn you into a mindless soldier to fight against your own kind. Your mission: Escape and survive! Time to flex your mental muscles on some new math and logic puzzles. With a First Person perspective, youre given the task to shoot down any incoming planes, missiles and any other foreign object sent to destroy you. Manage the manufacturing and delivery of building materials to construction sites in multiple cities. You are the Random Number Generator! Be patient with yourself though, it takes a while to get the hang of directing your own future. Defend your realm against hordes of orcs, trolls, evil wizards and other nasty fiends; armed with a mighty arsenal of warriors and mages of your own! Create and combine magic gems, put them into your towers and banish the monsters. Design your Soul, train him and step into the Arena! The resistance has spread further and the King is not happy. He has ordered you once again to crush all resistance to help expand his territory. War Heroes is a tactical team arena shooter. You play as an elite US squad formed to carry out dangerous missions after the Allied landings in France, 1944. Complete missions as you race through 18 action-packed levels, with 12 different vehicles to unlock and upgrade! Humans are invading Mars and it is up to you to stop them! Take control of the last attack tower on Mars and save the planet from invasion. Roll and hop your way through each level on a mission to save the world! Guide Rabbit to the Carrot in this 50 level puzzle game. Aim and launch bunnies from your cannon to fill all the baskets in each level. The sheep have been abducted by aliens. Use their unique abilities to safely guide them through each level. In this classic puzzle game, you can play either 1 or 2 players, you need to create boxes out of the lines drawn from one dot to the other. Push It is a fun Sokoban clone with nice graphics and challenging puzzles. The object of the game is to push the boxes into the designated colored areas. Fly your spacecraft and destroy the enemies. Find your way safely out of the maze. Protect four different worlds from enemy attack in this tower defense game. Save everyone in your factory by using your super cool paint gun! Maneuver your space ship to the martian colony past all of the obstacles. Safely guide your vehicle through a hazardous safari in this fun physics-based puzzler. Draw a path to lead your ball to the pin but the path disappears right away. You must be quick and accurate. The story continues. Make your way past the guards without getting killed. Protect your ship from the ariel bombardment. Customise five unique soldiers with hundreds of weapons in the sequel to smash-hit action-packed shooter. Make your way past the guards withput getting killed. Shoot all the bad guys hiding in the buildings but avoid killing the innocent Indians and civilians. Reload quickly whrn you are out of bullets. The object of the game is to push the boxes into the designated colored areas. Hit the smileys in the office with paintballs to gain maximum points and progress to the next level. Muay Thai is a fighting style which originated in Thailand. Make your way through the different levels with your deadly and awesome moves. Complete all levelsof this mini golf game in as few strokes as possible. The aim of this mini pool game is to pot all of the balls as fast as you can, the pink ball is the first ball that has it's timer run out, so try to pot that first, after that you must pot all of the red balls in order to finish the pool game. See how far you can stay adrift in Fly Plane! Simple to play, but tricky to master. Sink all the balls before the time written on the balls runs out. Master Checkers is an online simulator of the classic Checkers Board Game. The aim of the game is to capture all of your opponents pieces, or block them so that they cannot move. Knockers is a Puzzle and Strategy Game. The goal is to collect enough gold in order to proceed to the next level. You get gold by killing the monsters, You kill the monsters by dropping big rocks onto them. You can also kill them by planting explosives. You have a trampoline which you have to use to make sure that the incoming black bombs pass by safely and under no condition must they hit the ground. At the same time avoid catching the red bombs or you will lose a life. To get the perfect bowl, aim your mouse towards the pins, while aligning the mouse with the marking of the floor. Push the mouse towards the pins with as much power as possible. Your mission is to defend your ship from incoming enemy planes. Shoot down as many as you can before you are shot down yourself and your ship is sunk. Fly your hot air balloon and shoot down anything that flies except your friends. Youre on the Average Joes Gym Dodgeball Team at the Vegas International Dodgeball Tournament. The object of the game is to battle through 5 rounds of single elimination dodgeball action to claim the championship. Your mission is to rescue our stranded special-ops servicemen and and suppress enemy fire. Your cows have been infected by a mad cow disease. Pick out the infected animals and shoot as many of them as you can in 60 seconds. Remove the blocks from the screen while earning the most points possible. Based on the popular childhood "Simon Says" Memory Game. Simon's a computer, Simon has a brain, you either do what Simon says or else you go down the drain. Find ways to destroy the monsters by using your laser cannon! Unlock and upgrade vehicles and drive your way through cities over run by zombies! Your goal is to shoot the arrow into the star in each level, using a variety of tools to help you along the way. Protect your gems from thieves in this fun tower-defense game. Roll and jump your way through a deadly factory in the final installment to the Red Ball 4 series. Find the hidden spot in this version of the hot/cold game. Steer your vehicle through the zombie hordes, unlocking upgrades and new vehicles along the way. An epic shooter with 3 game modes, 15 campaign levels and over 65 weapons. Draw objects to block the attacks of two rookie assassins. 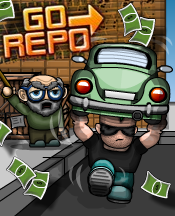 Play as a repossession team and collect the required value of items in each level. Action-packed arena based shooter game with 50 weapons, 24 characters and 30 stages. Killer vegetables are trying to take over your farm. Stop them in their tracks! Drive over cars and jump over the hills, collect coins and do not crash the monster truck. Click and hold on the nodes to attract yourself to them. Your goal is to land (or drift) yourself in the ring in each level to progress. Lead a group of time-travelling pirates and shoot your way through 20 action-packed missions in this arena-based shooter. Survive the zombie apocalypse by defending yourself and finding weapons and survivors. Jump on the rocks to get points before the time runs out. Race your plane through the courses in the fastest time possible. Jump from barrel to barrel to safe Tobo the robot from drowning. Defend your Carrot from undersea monsters by building various weapons along the enemies path to help slow down and destroy them. Take control of a supply truck during a time when the world is on the verge of an apocalypse and get as many resources to the bases as you can before you run out of gas. Guide your Ninja through each challenge by dodging and defeating enemies and hazards. Protect your carrot from various monsters by placing different creatures along the path to help slow down and attack enemies. Become the ultimate special forces operative in this fast-paced 2D shooter.